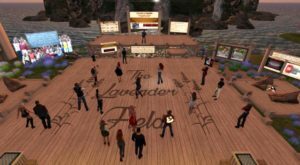 “Feed a Smile” in Second Life – Leben und Lernen in Kenia e. V.
“Feed a Smile” at Lavender Field in Second Life – is a long-standing charity venue in Second Life. Everything is done under the slogan: Feed a Smile. All donations will be used to provide extra food to LLK children in Kenya (more than 100,000 meals have already been funded this way). Donation boards are also set up for the school construction during certain events. 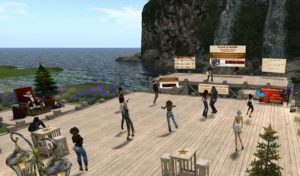 Since Second Life knows no borders, people from all over the world meet here. You’ll need a registered SL account to visit the Lavender Field. It only takes a moment to register and is totally free of charge. The video commentary was spoken by Ken Branda, our project manager in Nakuru, Kenya. And our LLK Kids that MadPea Productions raised funds for for the huge start fort he construction of the kitchen at the Live and Learn in Kenya Education Center.